We’re passionate about using real estate to not only find the perfect home in Toronto for your needs, but also to use it as a means to build wealth and ensure your financial independence. In order to ensure a smooth home buying experience, it’s good to be informed on the ins and outs of buying in Toronto real estate. Download our in-depth Buyer Guide FREE to help prepare you for one of the biggest purchases you’ll make. Smart real estate purchasing decisions have the power to transform lives. When you hire me, I become your partner in this process. Not just your real estate agent, but your advocate and someone who’ll look out for you. I believe in educating my clients on all aspects of their purchase so they feel confident and well informed. 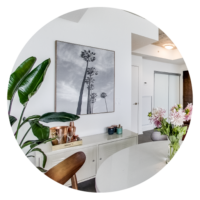 Backed by over a decade of experience in Toronto real estate, knowledge, and expertise, I can create and execute a strategy that will meet your goals and priorities. There is a lot of strategy and psychology at play in negotiations, as well as added pressure. It may be a seller’s market, but that doesn’t mean that every real estate agent will get you the same results. Assessing the state of the Toronto market will gear your strategy and determine what approach should be used to get the best price. Having someone in your corner who has been through various transactions hundreds of times will ensure you have the most successful outcome. The negotiating skills and talent of a top real estate agent can mean the difference of thousands of dollars. I analyze your assets and debts to determine the most efficient solutions to best leverage your current situation in order to earn you more on your return. In other words – I figure out how to make you the most money using what you already have. Whether you’re invested in bonds, stocks, RSP’s or Toronto real estate, I can analyze what you’re making on each asset and give you advice on how to earn more. Whether you are a home buyer or a seller in Toronto, I’m able to give you a breakdown of all the costs and math associated with your transaction. From mortgage payments and insurance premiums to land transfers and property taxes, I can calculate all costs for each of my clients. Whatever your concern or need, I’ll listen and help you to achieve the end goal you desire. I make sure you feel at ease and assured. Working with me should feel like you are working with a friend. You can count on me for advocacy, confidentiality, knowledge and guidance on all aspects of your real estate venture in Toronto. 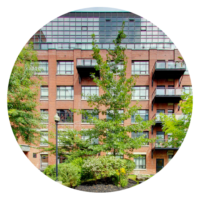 When you buy a Toronto property with the Pierre Carapetian Group, you get the highest level of service. We do everything we can to make your home buying experience positive and hassle-free. We are here to alleviate stress and give you peace of mind knowing that all of the details are taken care of. We have access to an amazing network of Toronto professionals from contractors and home inspectors to mortgage brokers and lawyers. Our team is here to assist you with all of your real estate related needs. To make moving a breeze, we set you up with Move Snap, a centralized service that helps organize all of the steps affiliated with moving. 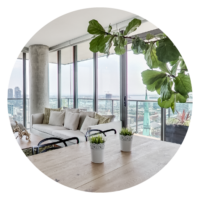 Backed by over a decade of experience, knowledge, and expertise in Toronto real estate, I can create and execute a strategy that will meet your goals and priorities. 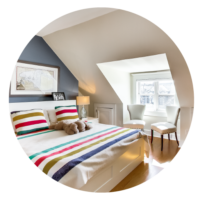 Get in touch to discuss how we can help find you your Toronto dream home today!